alaTest hat 4 Testberichte und Kundenbewertungen für Cambridge Soundworks Oontz zusammengefasst und analysiert. Im Durchschnitt wurde das Produkt mit 4.2/5 bewertet, verglichen mit einer durchschnittlichen Bewertung von 4.5/5 für andere Produkte. Am positivsten ist den Testern die Größe aufgefallen. Auch das Preisleistungsverhältnis hat sie beeindruckt. Im Durchschnitt haben Anwender dieses Produkt mit 100/100 und Experten mit 79/100 bewertet. As far inexpensive wireless speakers go, the $35 Oontz Angle 3 Plus delivers a lot of sound bang for the buck. Cambridge Soundworks' Oontz Angle 3 Plus manages to deliver fairly rich sound despite its small size and relatively low price. It also has excellent battery life, is water-resistant and has speakerphone capabilities. Ignore the goofy name: The Oontz 3 Plus delivers about as good sound as you'll get from a $35 Bluetooth speaker. Cambridge SoundWorks adds to its line of value wireless Bluetooth speakers with the larger Oontz XL, which sounds better than competing $100 models. The ; offers better sound than similarly priced mini Bluetooth speakers. 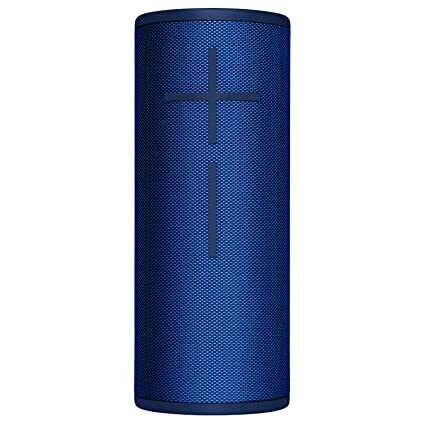 It's attractively styled and includes speakerphone capabilities and USB charging for smartphones. Battery life is also good (over 10 hours at more moderate volumes). Doesn't play incredibly loud; AC adapter is required to power/charge the unit (rather than a 5V Micro-USB charger). 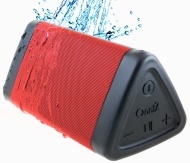 While it doesn't sound as good as its more expensive rivals, the Cambridge SoundWorks Oontz XL is the best big Bluetooth speaker you can get for under $100. Entre las bocinas inalámbricas de precio razonable, la Oontz Angle 3 Plus, de US$35, ofrece mucho por tu dinero. Presenta algunas dificultades con los sonidos agudos. No le hagas caso al nombre raro, la Oontz 3 Plus entrega el mejor sonido que puedes esperar de una bocina Bluetooth de US$35. Good sound quality . Easy to use. Works fine with iPhone , htc, and Samsung (that's what I tried with). So... Over all awesome product!